As promised last week, we will be adding a couple EXTRA features this week from last weeks party! 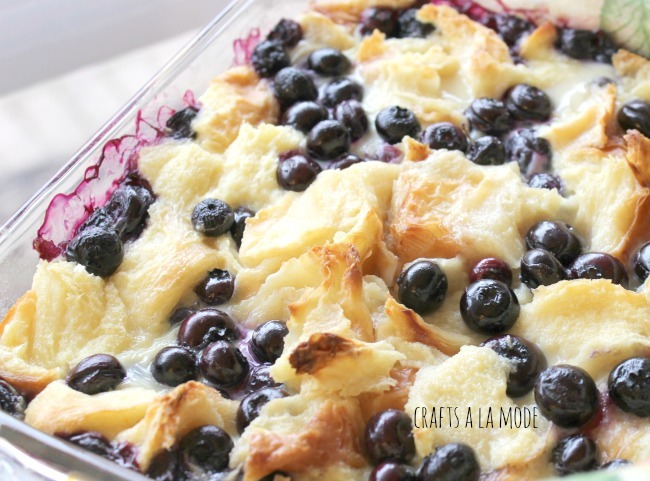 Well, I don't know if you've had a chance to check our Linda's Yummy Blueberry recipes yet, but if not, her Blueberry Breakfast Bake is one not to be missed! So yummy! As for me, I have been working very hard on trying to complete my newest chalk paint tray, that has turned into an Epic Fail! But it is is on it's way to becoming a Beautiful Success! I should be able to share that with you tonight or tomorrow. Trays and chalk paint, they are bit of an obsession of mine, but I do use them all the time! You can check out my first Chalk Painted Tray out HERE! First, a couple from Last week, that we promised to get to! 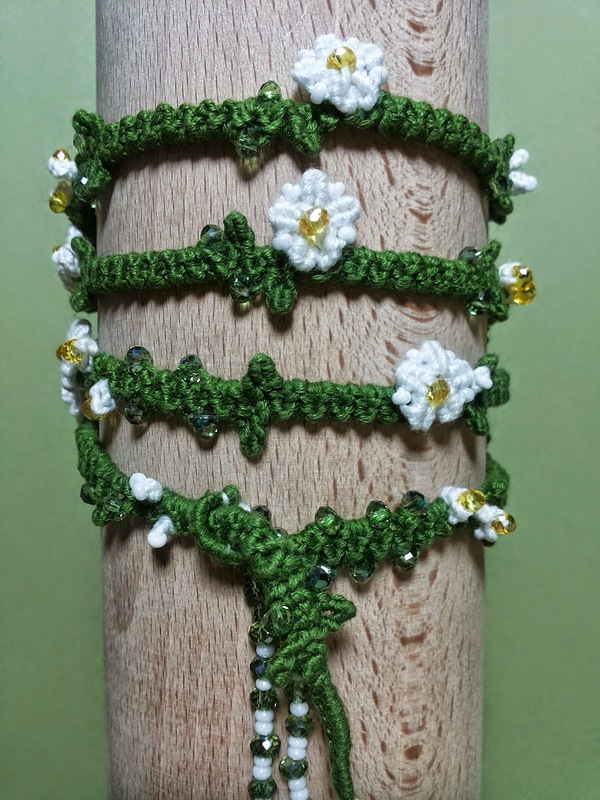 A new find for me, and I am in awe of her talent and patience required to make these, is Elena @ Macrame Style's adorable and Intricate bracelets! Absolutely beautiful! 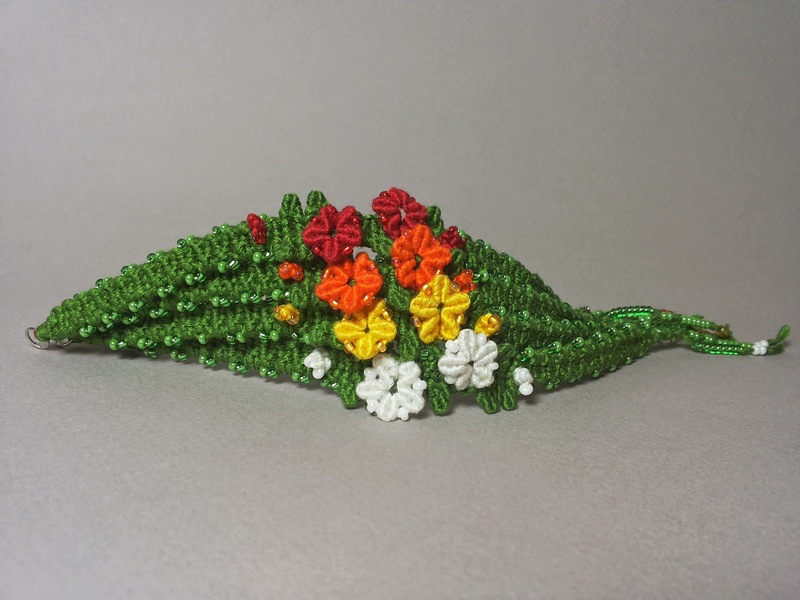 Macrame has come a long way! As much as we would like to feature more from last week, we must get onto this weeks Features! What wonderful Crafts and Recipes you all brought to share! Now onto this weeks Features! Well, my first pick, and I think Linda actually agreed with me on this one, is Purple Hues and Me's Absolutely Ingenious DIY "April Showers Flowing Flowers" Unbelievably, adorable idea! And, she shows you how to do it, too! 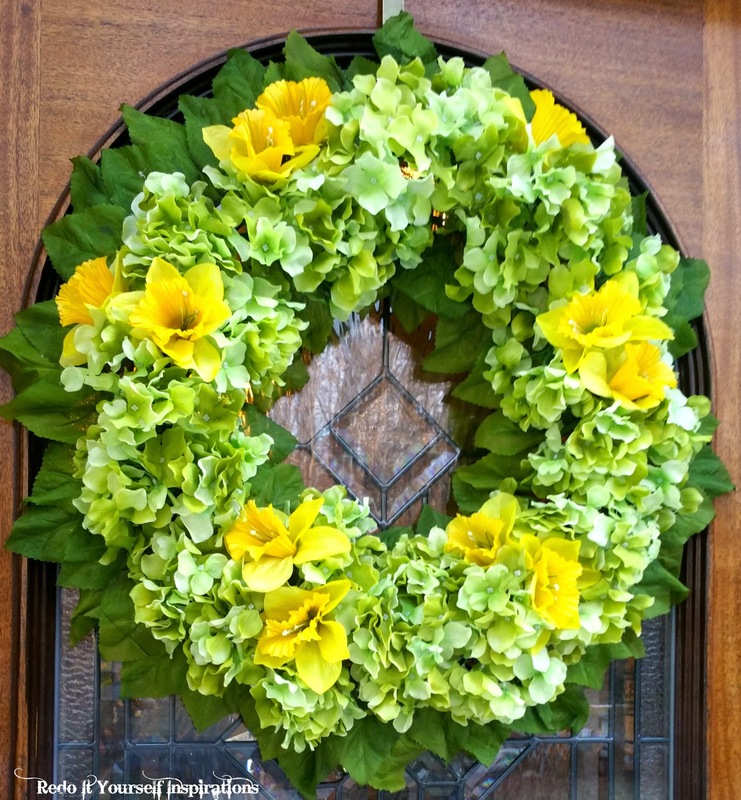 Secondly, I LOVED Our Crafty Mom's very Spring-y Wreath! So soft and pretty and just shouts of the beauty of the Season! 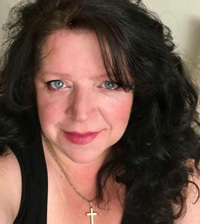 Now, Onto Linda's picks! First off don't you just adore Little Miss Celebration's Fun Take on A Spring Wreath?!! She calls it Bursting Blooms Frame Wreath and that it definitely is!! Linda's second, well, if Katie-Kate's Strawberry Sparkler Refreshing Drink doesn't look like Spring in a glass, I don't know what would, yum! And, just because 3 each never seems to be quite enough, we had to add one more bonus feature!! 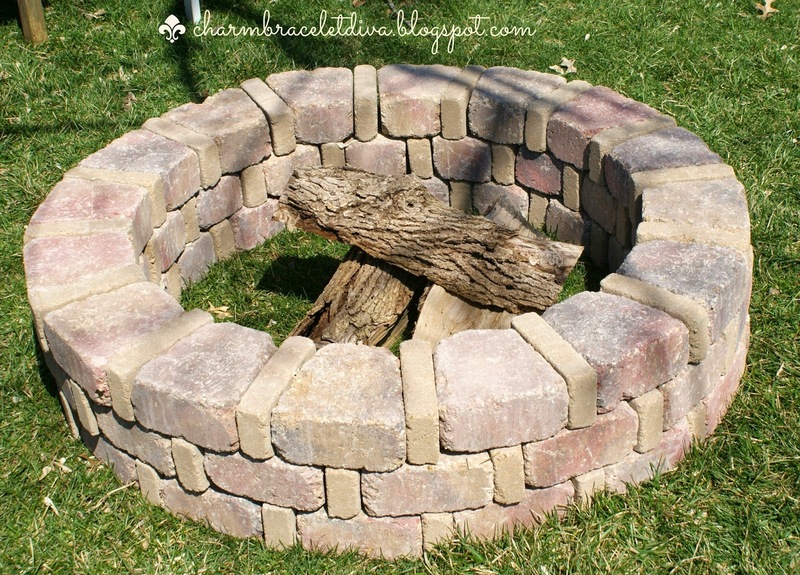 We had to Share with you and give proper kudos to Charm Bracelet Diva (At Home) for showing us How to Build Your Own Fire Pit for Under $75!!! You have to love it! What fun for this summertime!! Thank you so much for the feature! I am honored. Thanks for hosting too! So happy to have you Sherry! Definitely, making your Cinnamon Bread! Have a great weekend! Wow, that blueberry breakfast bake looks delicious and your tray is super cute! Great features this week! Thanks so much for hosting! Hi Theresa! Thanks so much to you and Linda for hosting and for featuring my bursting with blooms wreath! Happy Friday and have a wonderful weekend! I don't have anything to link up, but I came to click around. I am loving that fire pit post featured! I know I'm a little late linking up... but, looks like a great party, and BE-A-UTIFUL features!! Thanks for hosting friend! Hope your week is going well... and you've received rain?! Still praying!